The Walla Walla will be awesome when she comes back...The work last summer consisted of completely stripping and re-surfacing the auto deck, removing the curbing at the bottom of the stairs and installing handrails, completely re-surfacing the solarium deck and railings, green bench seats, and probably a bit more work. I am totally looking forward to when she returns to service! Indeed, she looks nice. 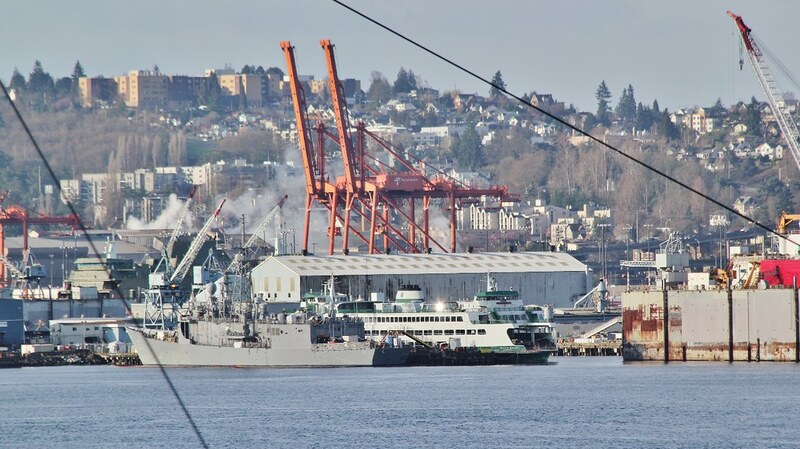 According to the latest version of the maintenance schedule (updated yesterday) she's gonna be back in service starting the week of April 1st, on the Seattle-Bremerton route. Woohoo! 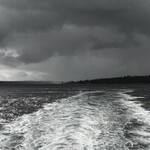 Ferry trip! (echo of the one that I posted last week in the Yakima thread)! I though find the fact that the benches were painted green a downgrade since it was one of the main distinctions between her and the Spokane. 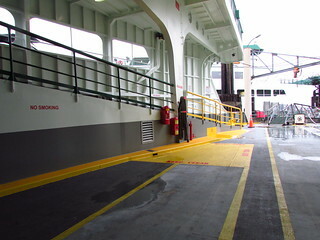 Kinda like the Tacoma has green benches everywhere while the Wenatchee and Puyallup have white ones on the sun deck. 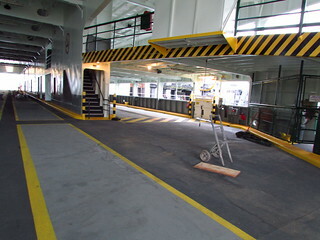 But, the Walla Walla still has the blocked off spots where the lifeboat canisters were stored on the solarium deck at each end. 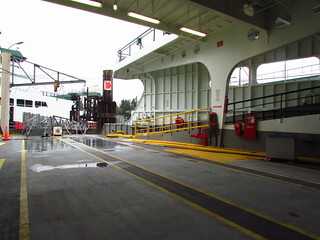 The railing on the Spokane was modified and follows the curve of the deck all the way. Good point! I myself had never realized that and probably wouldn't have if no one told me or if I didn't go on the ship. I wonder what the state's reasoning was for removing the canisters. 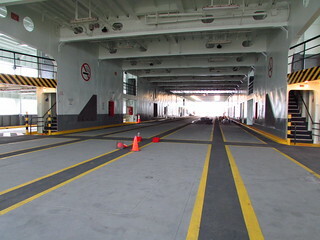 The Supers even had them originally, two on each side right above the shelters on the sun deck, adjacent the pilothouse entrances. I took this in 2003 before the refurb. Most horribly uncomfortable seats in the fleet. Glad they are gone. Sorry for the slow answer; I just spotted this. I believe the canisters were removed when the evac slides and rafts were added, as the new rafts far surpassed the capacity of the old "depth charge" units. 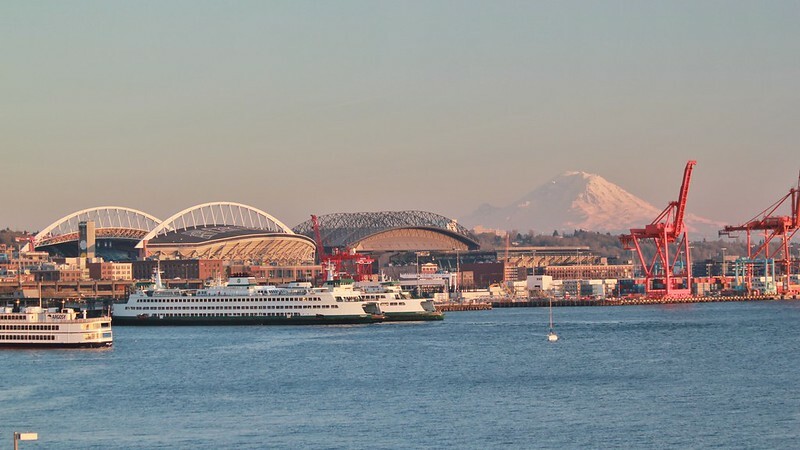 And now the latest version of the maintenance schedule (updated March 6th) says that the Walla Walla will be starting trials on the week of April 1st and will be back in service on the Seattle-Bremerton run starting on the week of April 15th. That's later than we previously thought, and goes to show that the vessel maintenance schedule is just as accurate as a long-term weather forecast. That's later than we previously thought, and goes to show that the vessel maintenance schedule is just as accurate as a long-term weather forecast. Yup. Only trust the maintenance schedule for the upcoming month. Just like the weather forecast! 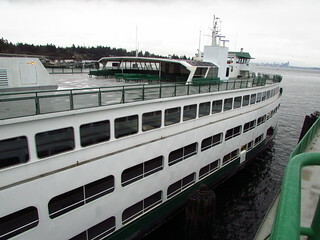 – A three-month safety investigation recently concluded that human error was responsible for the failure of an electric drive motor that removed the 188-car ferry Walla Walla from service. Communication between engine crew and maintenance staff was insufficient. Eagle Harbor maintenance staff and the Walla Walla’s engine crew improperly prepared electrical equipment for a complex maintenance procedure. No written procedures or checklists were available for this maintenance work, which is rarely performed on the Jumbo-class Walla Walla. Immediately after the incident, WSF followed agency protocol and opened an internal safety investigation. WSF also hired the Cadick Corporation, an electrical power system engineering firm, to assist in the investigation as a third-party expert. Give appropriate training prior to the specific work for infrequent complex maintenance activity. Establish and follow checklists and associated written procedures for the infrequent complex maintenance activity. Mandate pre-work meetings prior to work being performed on vital equipment with all associated personnel. Explore the feasibility of either additional alarms or interlocks to handle the situation of a non-rotating motor with loop current flowing through it. Reinforce established lock out/tag out procedures, and ensure detailed entries of equipment components rather than non-specific descriptions. Immediately following the panel’s recommendations, WSF implemented pre-work meetings prior to work being performed on vital equipment, and developed checklists and written procedures for the maintenance activity that resulted in the motor failure of the Walla Walla. WSF has established a timeline to implement the other recommendations in the report over the next several months. The November incident occurred during a scheduled procedure on an electric drive motor, one of four propulsion motors aboard the Walla Walla. 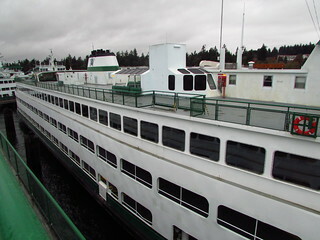 The procedure required WSF vessel engineers and maintenance staff to engage an electrical current to power two of the motors in separate motor rooms located at each end of the vessel. According to the report, crews improperly set electrical circuits to prevent the current from reaching an inactive motor in an unstaffed motor room. The current melted vital parts of the inactive motor over a period of 40 minutes. Investigators concluded that two separate crews each assumed the other had taken proper steps to safely contain the electrical current. The crews’ lack of familiarity with the system’s circuitry and reliance on inadequate institutional knowledge were contributing factors, as well. 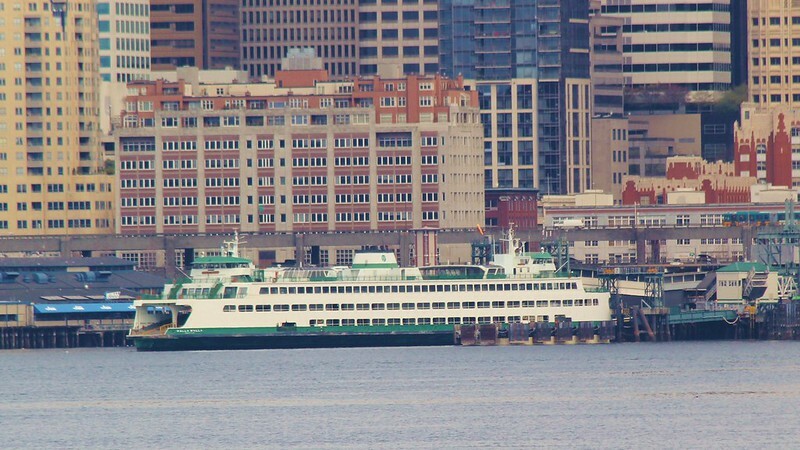 To return the Walla Walla to service, WSF has been working with the drive motor manufacturer to refurbish WSF’s only spare motor for Jumbo-class ferries. After installing the refurbished motor, crews will begin extensive testing and sea trials. 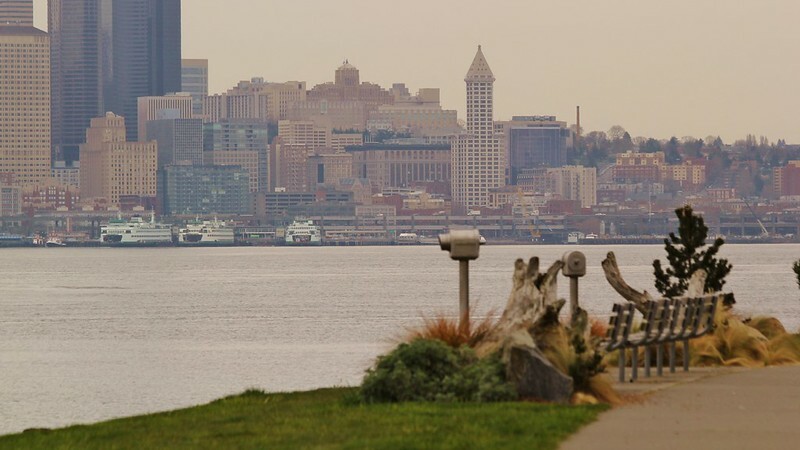 The Walla Walla should return to service in April. The total cost of repairs is estimated at approximately $3 million. 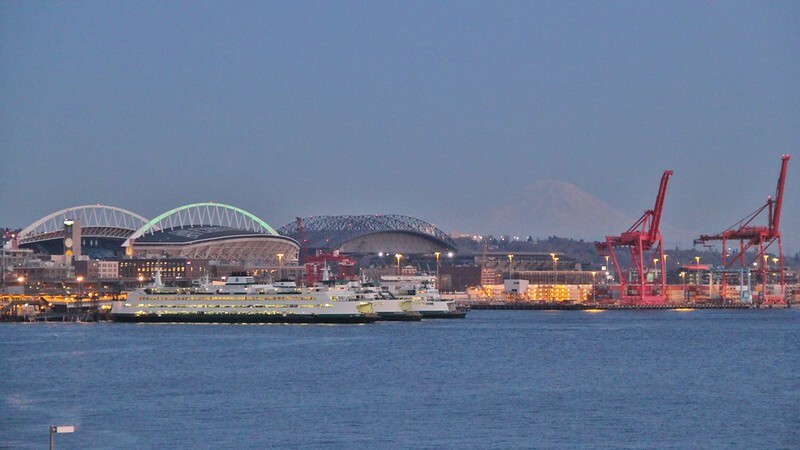 M/V Walla Walla landing (under tugboat assistance) at Colman Dock this morning. With spring and thus peak season in the air today that is a very welcome sight. Looks Vigor got done a few days early too. And with that the trials will start! Be out on the watch for her! The Wally is still at Colman Dock slip 2 as of right now. If she's not towed out before tomorrow then I might as well get a chance to get pics of her there! 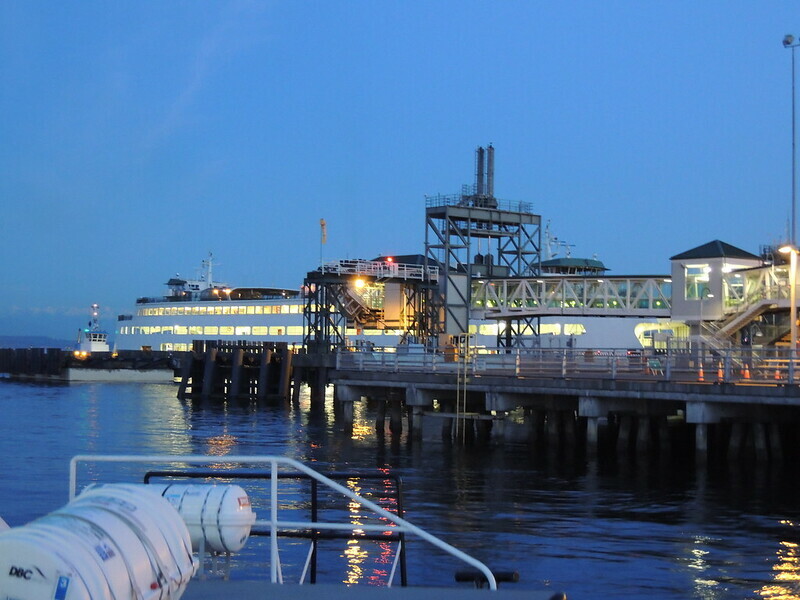 Three ferries of three different classes at Colman Dock! Neat shot, SolDuc. I must say it's the first time I've ever seen the Kaleetan look small... and old. Glad to see the Walla Walla out of the yard... with any luck we'll have her back in the next couple of weeks. Hope so--we need it! 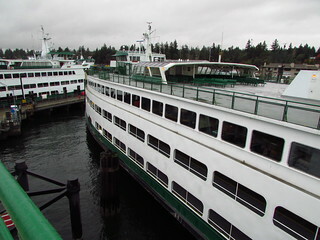 According to Marinetraffic, the Wally is out doing sea trials between Pier 52 and Mukilteo (she seems to be doing roundtrips without touching Mukilteo), running under her own power for the first time in nearly 9 months!